We don’t entertain much. It’s not that we don’t like our friends, it’s just that with so many little ones in the house, by the time the weekend arrives, we are POOPED!! And the thought of all that cleaning, shopping and preparing is just too much for these two tired parents to comprehend. But this weekend we took the plunge. I have just finished spring cleaning the house, so it’s looking pretty respectable, and I know my best friend and her husband honestly truly don’t judge their friends by how tidy their houses are, so we invited them over for a “Pre-Christmas, If we don’t do it now we never will BBQ”. Of course we had a doozy of a storm come through right about BBQ time, but the kids enjoyed each others company, my friend and I chatted above the forever rising noise level while our other halves sat peacefully on the covered verandah BBQ-ing surrounded by rain and lightening. Hmmmm, who had the better deal there? We didn’t fuss too much, we had some nibblies, marinated some steaks, made a salad, bought a couple of salads (Yes! I bought salads! Sometimes you only have so much time and you just have to be honest with yourself and admit that you just can’t do everything! There, I said it “I can’t do everything!”} And I gave in and made only one dessert instead of two, and this is it, Citrus Tart. 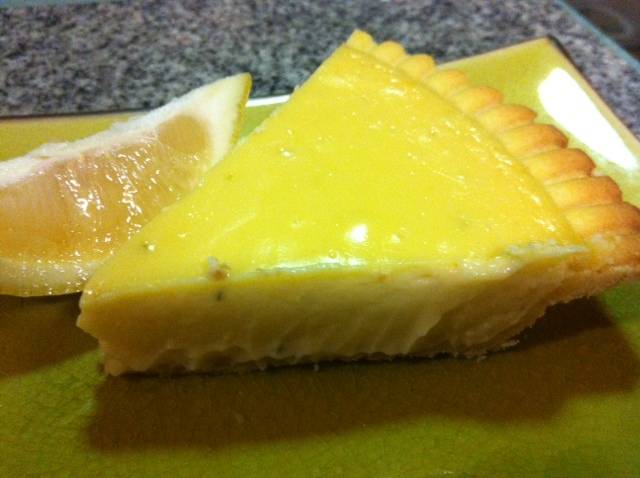 It’s my take on Key Lime Pie, but I have never ever seen limes in Australia specifically stamped as Key Limes, so I took some advice from the internet and added a little lemon juice to tart-up the flavour a bit in the absence of these mystery limes. Oh, and the kids had Chocolate Paddle Pops…..from a box! I tried this recipe earlier in the week and it got the OMG! response from Mr 8, so I knew it was the perfect quick dessert for our last minute BBQ. When I say quick, I mean ready in half an hour if you buy the base quick, which is hard to believe, because in my humble (made it myself) opinion, it’s pretty spectacular, and I dare say it may just make an appearance on our Christmas table this year instead of my famous Lemon Meringue Pie. My waist line on the other hand may not be so impressed by it’s appearance, because it’s pretty hard to stop at one slice. Not good I tell you! Not good at all! Prepare your tart base as per packet instructions, or whip up your own base using the above recipe. Combine all filling ingredients in a medium sized mixing bowl and whisk until smooth. 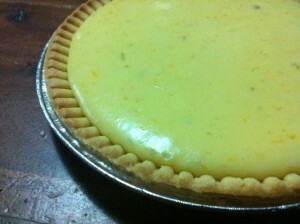 Pour into prepared tart base and place into the oven for 15 minutes until filling is set. If the top of your tart starts to caramelize you have left it in slightly too long, and remove immediately. Once chilled, slice and serve with whipped cream or ice-cream on the side. This kind of breaks the tartiness a little, but if you’re like me and you like the twang of citrus, serve as-is.